On June 30 1986, Madonna’s True Blue album was released by Sire Records. She worked with Stephen Bray and Patrick Leonard on the album while co-writing and co-producing all the songs. True Blue was an immediate global success, reaching number one in then record-breaking 28 countries across the world, including Australia, Canada, France, Germany, the United Kingdom and the United States. It spent 34 consecutive weeks at the top of the European Top 100 Albums chart, longer than any other album in history. It became the world’s top-selling album of 1986, as well the biggest selling album of the 1980s by a woman and remains one of the best-selling albums of all time with sales of more than 25 million copies worldwide. All five singles released from the album reached the top five on theBillboard Hot 100, with Live to Tell, Papa Don’t Preach, and Open Your Heart peaking at number one. 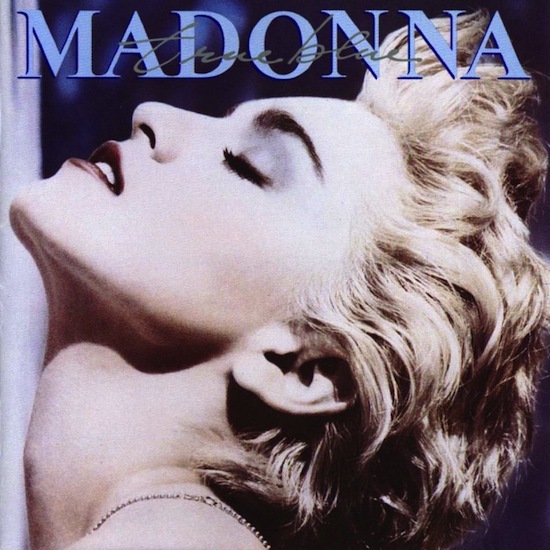 True Blue-Lady Madonna’s First Detroit Masterpiece! A LANDMARK RECORD IN EIGHTIES ROCK! Love You Madonna!